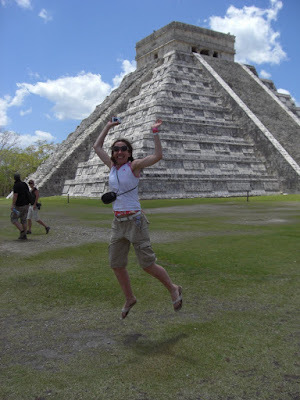 Jumps for Joy: Chitzen-Itza Jumping! "I hope you will consider posting my Art Jumping this April at Chitzen-Itza in Mexico! I was so excited to learn about the remains of this fascinating Mayan culture, that I jumped for joy in the hot sun at the sites! :)"
Awesome, Joan. Thanks for the submission!